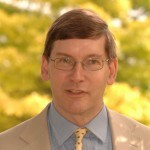 Professor Michael Reiss: In this article, I begin by examining the nature of science and the nature of religion before looking generally at the ways in which science and religion relate to one another. Finally, I consider some of the pedagogical issues that would need to be considered if the science/religion issue is to be addressed in the classroom. Professor Reiss feels that there are strong arguments in favour of science educators teaching about the science/religion issue, even though such teaching will make greater demands of them. The article begins by recognising that any treatment of the science/religion issue requires an appraisal of both the nature of science and the nature of religion. ‘This phrase is used as a shorthand for something like ‘how science is done and what sorts of things scientists work on’ (or the practice of science and the knowledge that is derived from that practice). What do scientists study? How is science done? The difficulty of answering these questions definitively is illustrated with examples and discussion. The general characteristics of religion are briefly explained within seven dimensions: practical and ritual; experiential and emotional; narrative or mythic; doctrinal and philosophical; ethical and legal; social and institutional; material. Examples of how science can interface with these different religious dimensions are also given. Amongst other writers’ positions, Barbour’s four main (accessible) categorisations of the relationship (conflict; independence; dialogue and integration) are set out even-handedly in this section. Following on from this are insightful sections on; Quantum Theory, Chaos Theory and Divine Action; Evolution and Creationism; Genetic Engineering and The Writings of Richard Dawkins. This section ends with two sub-sections that explore Teaching about controversial issues and Teaching about matters of personal significance and how these two areas can be handled sensitively in the science classroom.